ο Δήμος Στροβόλου, η KPMG, So Easy Stores και η Phil. Andreou. Χορηγοί επικοινωνίας: το Ράδιο Πρώτο και το περιοδικό Time Out Cyprus. 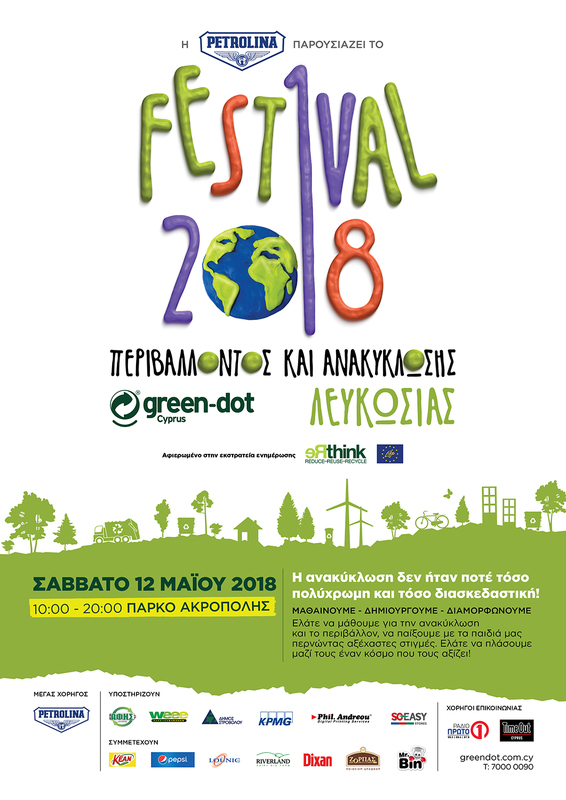 For the 8th consecutive year, Green Dot Cyprus organises the “Recycling and Environment Festival”. 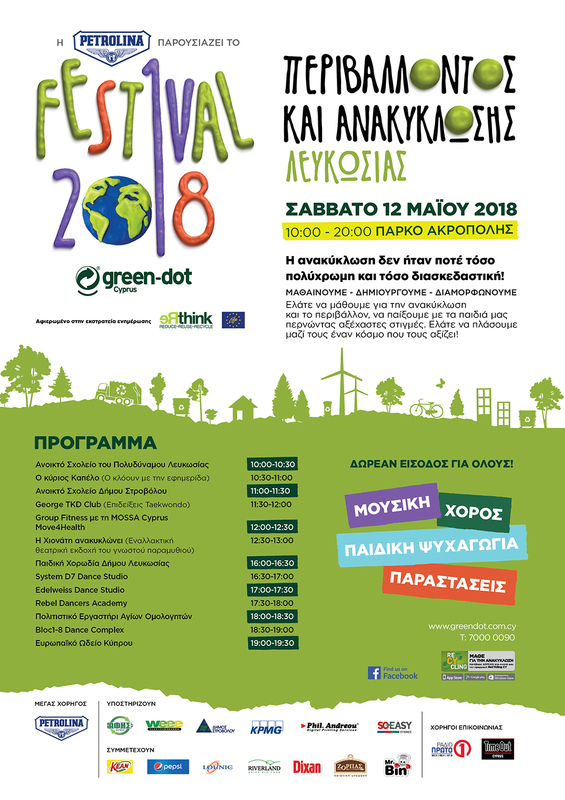 The Festival will take place on Saturday, 12 May 2018, from 10:00 a.m. to 8:00 p.m. at the Acropolis Park in Strovolos. The Festival aims to promote the contribution of recycling in the protection of the environment and the improvement of WELL-BEING, our quality of life and health. At the same time, it will promote the need for all to collaborate in shaping personalities that will respect both the environment and our health. For this reason, the Festival includes “WELL-BEING”, a special programme for all ages involving activities concerning healthy eating and an athletic lifestyle. Visitors at the festival will have the opportunity to visit a number of kiosks where various Organisations will be providing information on all sorts of environmental issues. Additionally, educational games will be available, enabling children to learn, through playing, about the environment and recycling, while clowns and magicians will also provide entertainment. Access to the Festival and all games is free of charge.